A couple of weeks ago, I was sent out to Brockton, Mass., to shoot the installation of photographer Mary Beth Meehan‘s work from her project “City of Champions.” The project looks deeply into the character of Brockton — where Meehan grew up — which has changed drastically in the past 20 years from a suburban haven to a town plagued by drugs, crime, and unemployment. 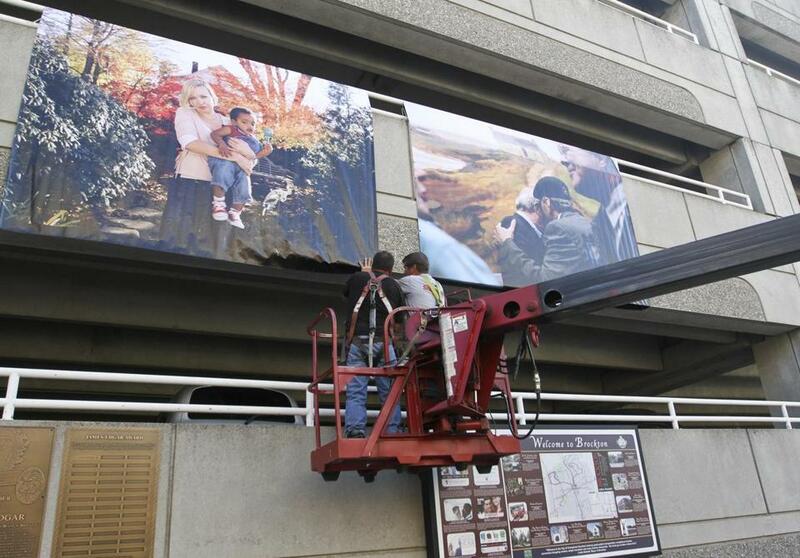 Her images have been blown up and printed on banners — some of which are up to 20-feet wide — and hung on buildings in downtown Brockton. It was a cool sight to see the installation, and the images are intricate and thoughtful. And, I had to pull double-duty on the shoot: pictures for the print paper and a video for bostonglobe.com.